Straits Times article 7 September 2010. 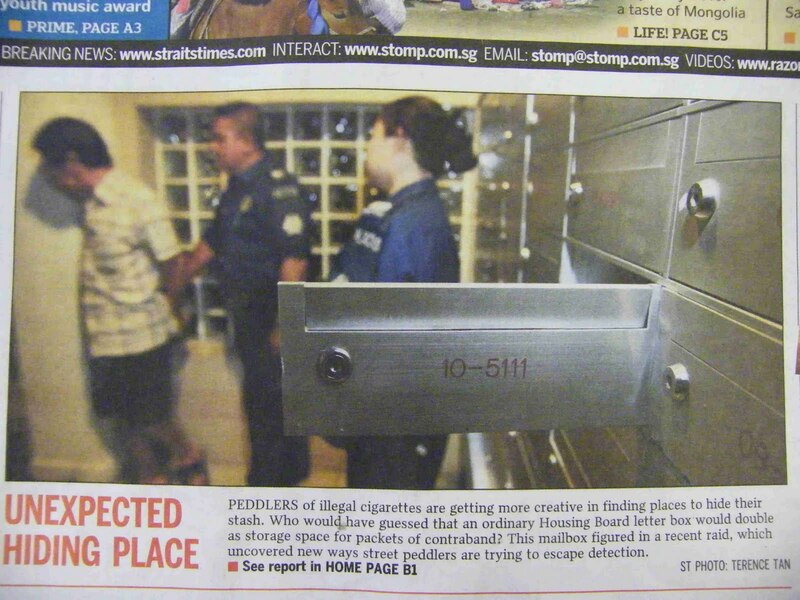 A peddlar of illegal contraband (un-taxed and smuggled) cigarettes was caught hiding his merchandise in a public housing (HDB) flat letter box. 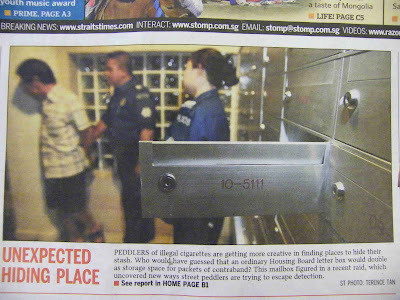 Notice that the letter box number is "10-5111". 51= Obstacle alone (meaning he gets through his obstacle alone). 11= Alone alone (meaning that it is a lone operation). 62 = "money talks", well why else would he be up to no-good? In summary, this is a lone operation where he had an obstacle of hiding his merchandise for the sake of making money. This stressed him and he runs it as a business. Did anyone knows how to find an universal life code?i want to know about it in order to help familly and friends...do you mind to share with me?